I'm continuing on from my post earlier this week with a haircare theme! Today I'm talking hairbrushes. 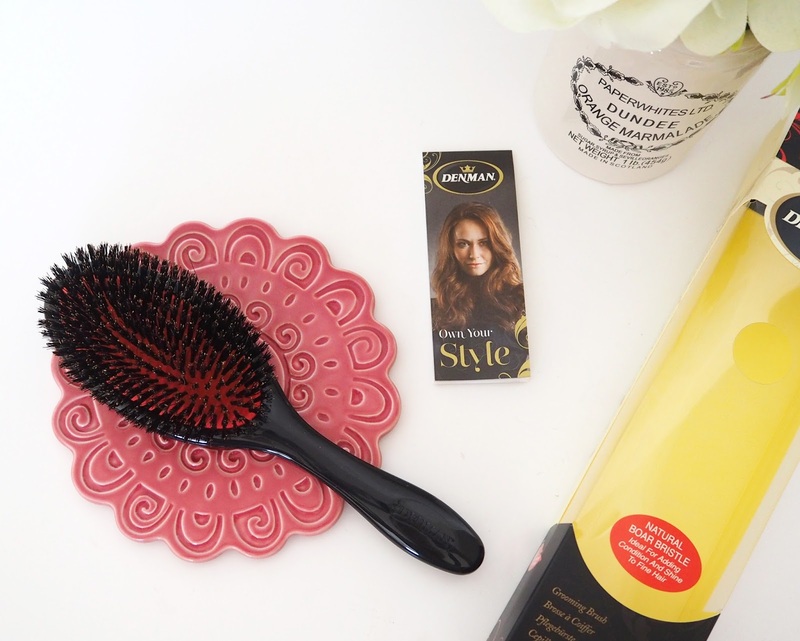 Having at least one good hairbrush on your dressing is an essential tool for saving you from bad hair days! 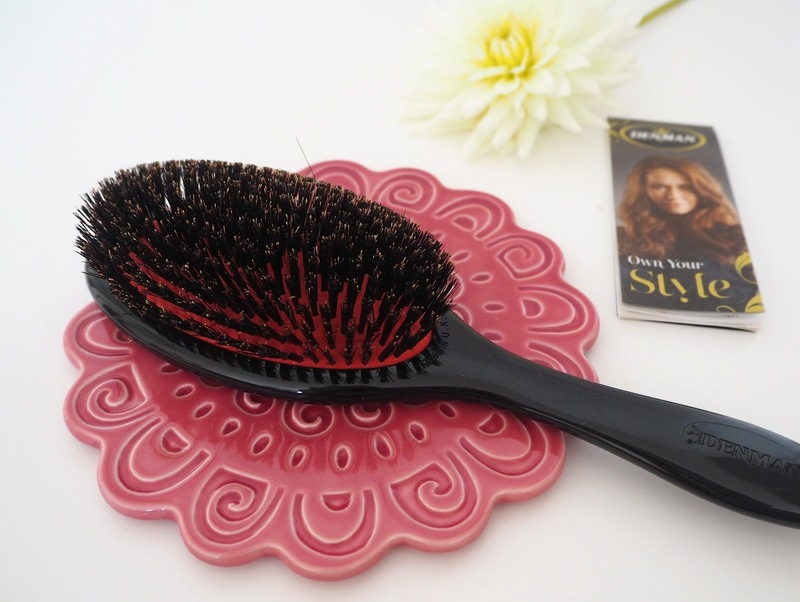 There are so many different ones out there from Tangle Teasers, Paddle Brushes, Round Curling Brushes - which to choose? Recently I have been trying out the Boar Bristle Grooming Brush* by Denman. 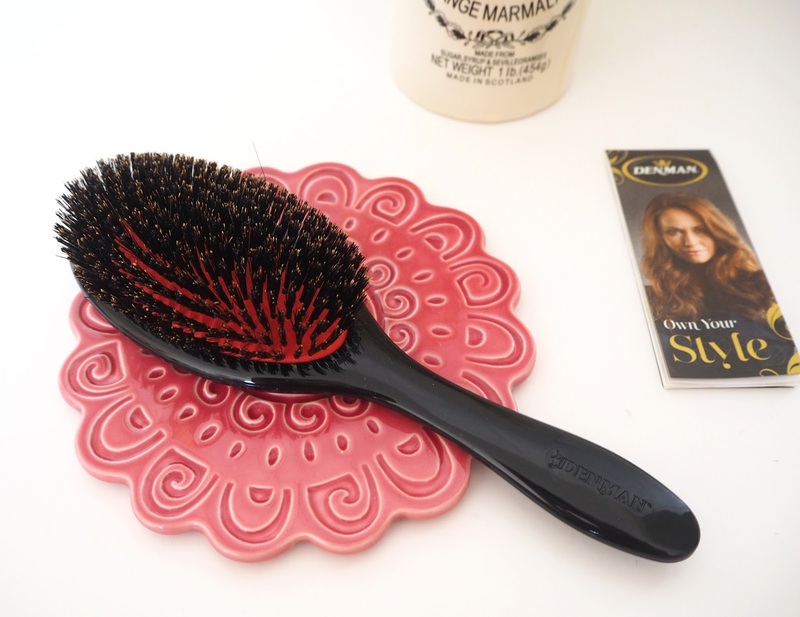 Denman is a well known brand for hairbrushes and I'm already a long time and happy owner of both the original Classic Styling Brush as well as the Paddle Brush. The Denman D82 Boar Bristle Grooming Brush is the ideal tool for finishing hairstyles. It's is great for smoothing hair when creating a super sleek bun or brushing out curls to achieve a softer finish. The 100% Boar Bristle polishes the hair adding gloss and shine. It is also a fantastic brush for distributing natural oils throughout the hair, especially during the winter months when it's at its weakest. I'm really pleased to add this brush to my collection. 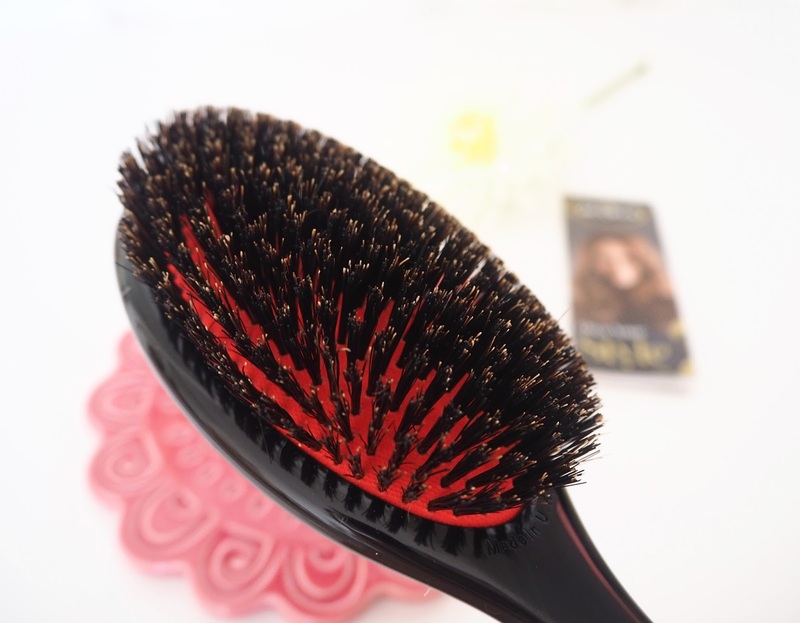 It's very different from my other Denman Brushes as this one is designed to smooth the top portion of your hair so make sure, if you have any tangles, you detangle first with another brush! I've found it ideal for using after I've straightened my hair to de-frizz and give a lovely smooth finish. It's hard to get my blonde hair looking shiny but I find this also does a good job of improving the shine. I also think it'll be perfect to use when I'm putting my hair up. You know when you always seem to have that stubborn portion that doesn't want to lie flat? The Boar Bristle Brush along with Denman's entire collection of brushes are available at Denman Online. When I was browsing on there earlier I came across some exciting sounding fragranced brushes as well as a special Cocktail Scented Collection. I like the idea of fragrancing my hair as I brush it in the morning, will be adding those to my wishlist!